Ideal for people with hip or knee injuries or those who require greater seat height. Easily positioned and removed using front location lip and two rear adjustable clamps. 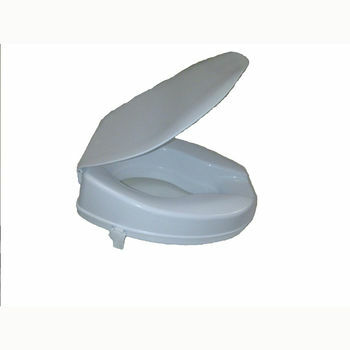 Moulded plastic is stain and odour resistant. Front cut-out for easier personal cleaning.